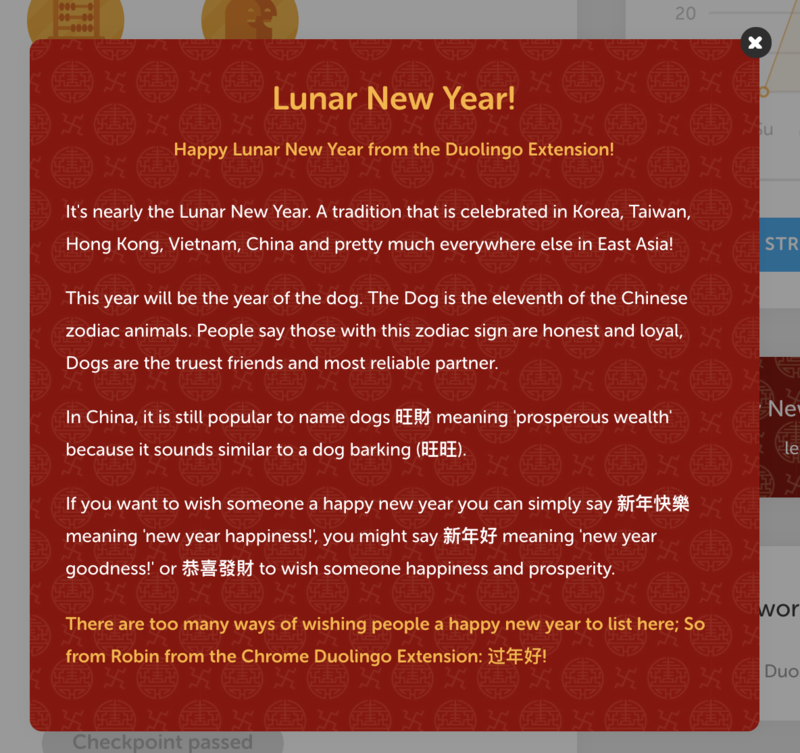 Tomorrow will start the new lunar year, this year will be the year of the dog! 谢谢！I’m in middle school and am learning Chinese as a third language! Wow you’re learning so many languages!! Xie xie ni! I was born in the Year of the Horse. Can I say, "Wo shi ma?" Or would I use another wording? Wǒ chūshēng zài mǎ nián - I am born in the year of the horse Wo shi ma - I am a horse Wo shi ma? - Am I a horse? I am a duck I am only beginning to quack Chinese. Oh, I know you, Donald. 你也是, 谢谢 This is a fun place to practice Mandarin! and Good luck to all learning here! how did you pit in the image?